Bridges are not just public architectural necessities but also images of melancholic departures, happy beginnings & celebratory crossings. In history, battles were rejoiced or lost in monumental bridges. But to the former President of the Philippines, Ferdinand E. Marcos, the San Juanico Bridge was one of his professions of love for the Rose of Leyte, Imelda Romualdez-Marcos. 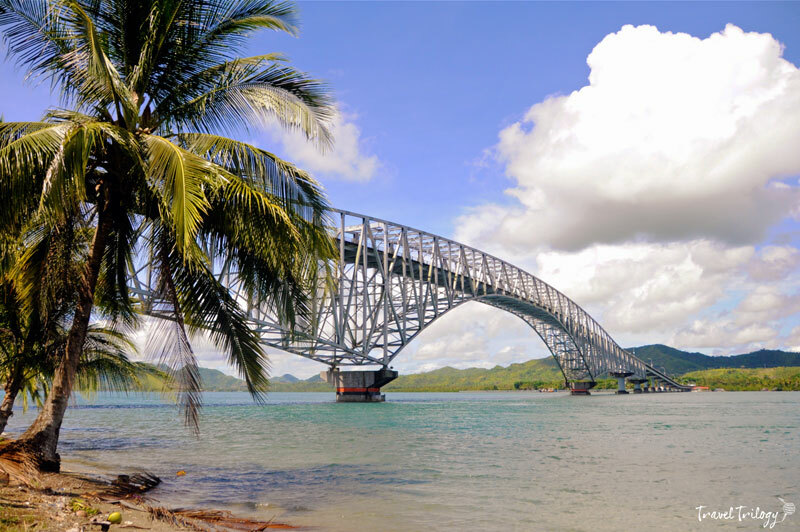 Constructed in 1969 to 1973, the San Juanico Bridge connects the provinces of Leyte and Samar on a 2.16-kilometer steel truss bridge design. 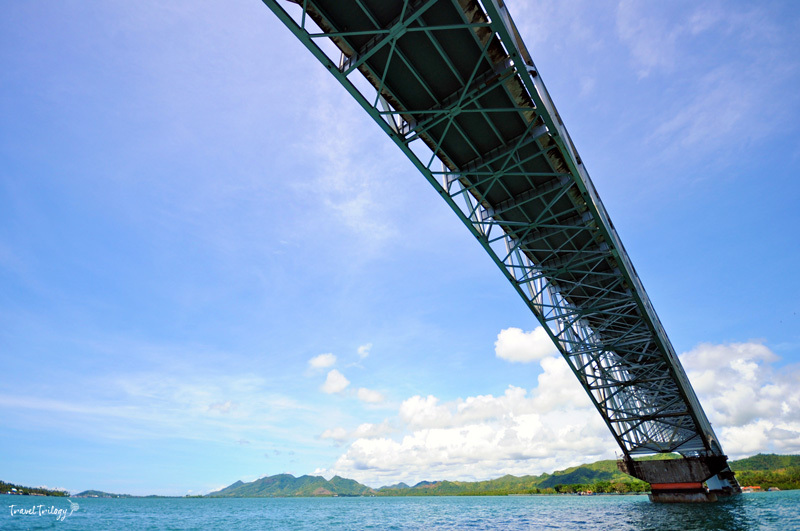 It rises 41 meters above the San Juanico Strait boasting of graceful arches and balance. 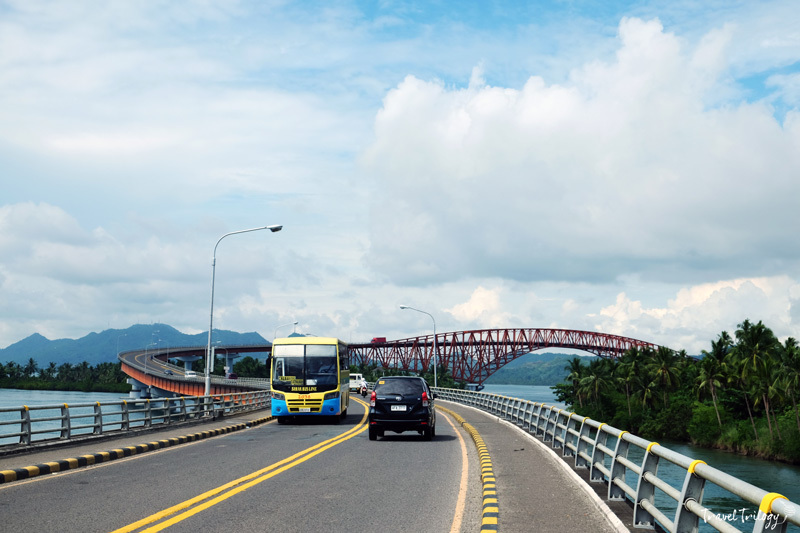 Coming in from Cabalawan in Tacloban, the travel begins through a smooth L-shaped path, obviously standing for Leyte until it swerves gently into an S-shaped maneuver welcoming you to Sta. 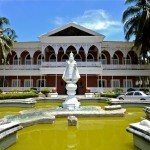 Rita, in the province of Samar. 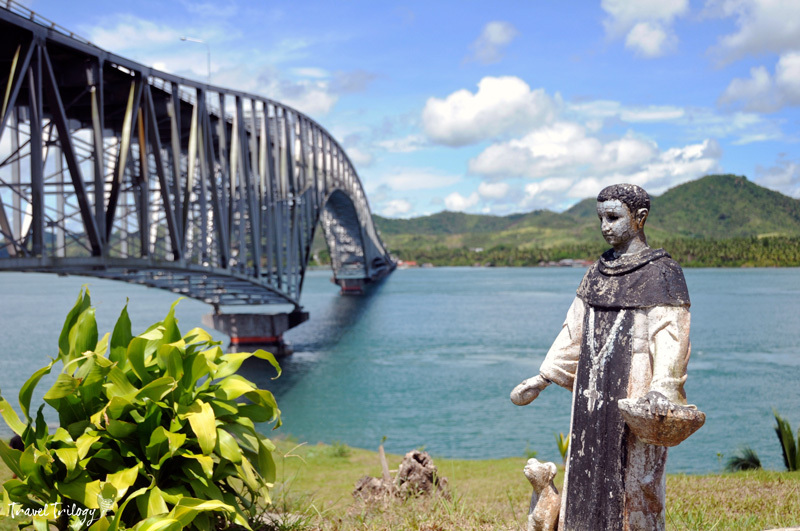 My explorations of San Juanico Bridge was kicked-off by an early morning walk from Tacloban side to Sta. Rita boundary. I hardly walk this long & enduring almost 5 kilometers was truly a crazy exception. Halfway through on my way back, I noticed small bancas sailing under the bridge. It made me think how the bridge looks like from below. I hurried to reach the end. I went inside a small fishing community to look for the wharf. 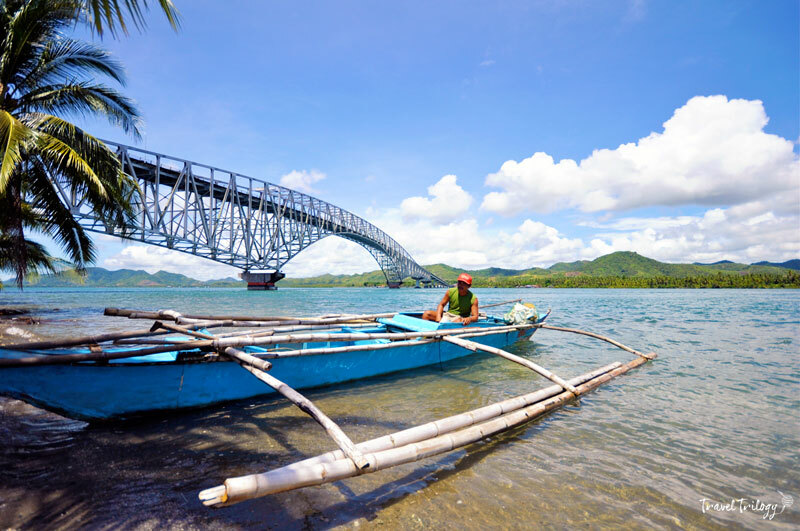 The people were surprised to find that someone took the interest to see the San Juanico Bridge from a different view. You see, cruising under it is not the usual thing. 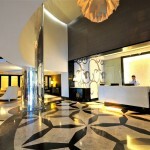 Most tourists are happy to just stay on top, take a few photos & leave. But staying for a few minutes there isn’t really enough to savor the beauty of the place. And when you’re there, obviously, there’s no way for you to see the entire bridge. Unless you fly a drone or you go up to Pasqualino’s Ristorante, then you can view its entire structure. 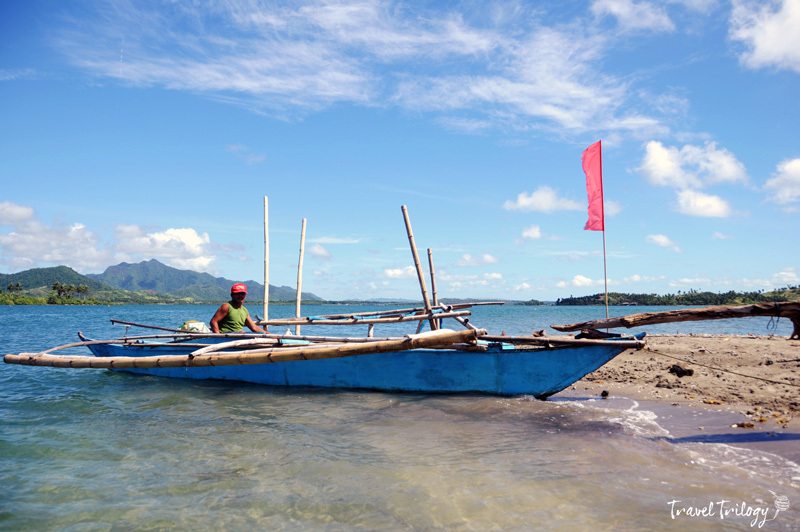 So I hired a small motorized banca to bring me around for P800. And yes, the view from beneath the bridge is massive & differently beautiful. I had a fantastic time watching the soft rays of the sun escaping through the web of steel from a hardly seen side of it. I also went farther to an island named Sinapdan. 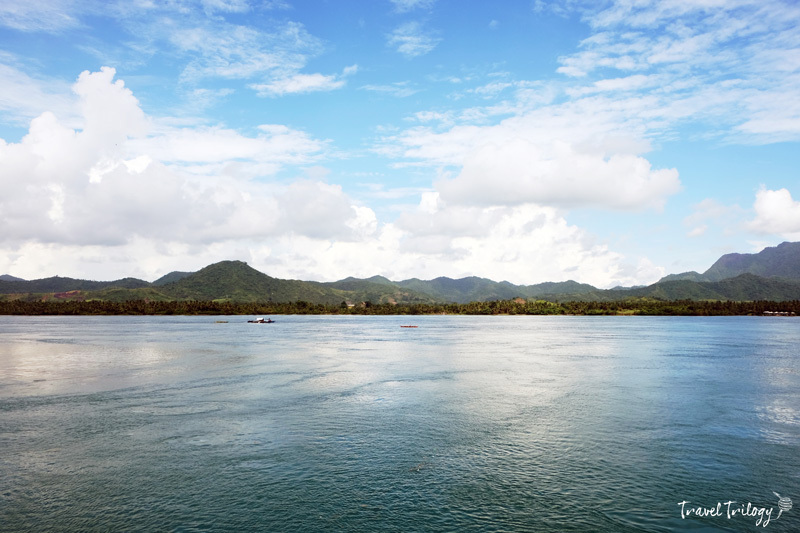 This islet is quite a popular swimming spot among locals. 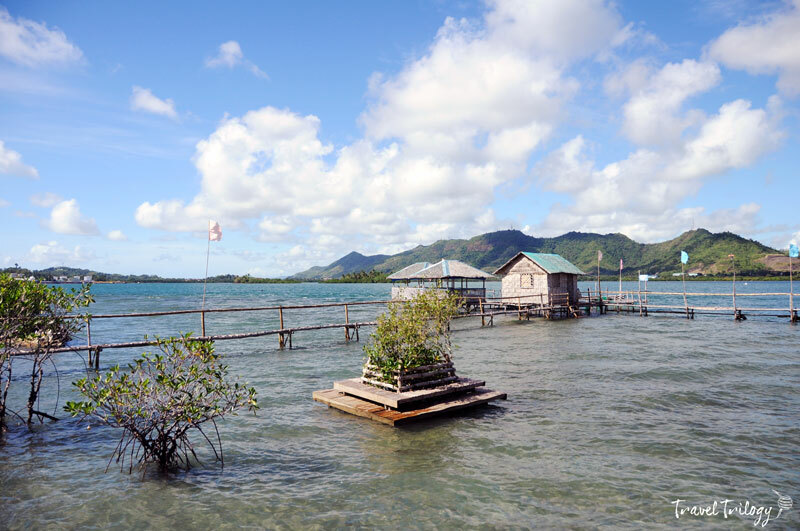 It is decked with tiki huts & serves simple meals. 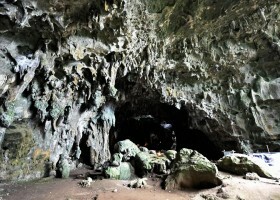 I was lucky to have arrived very early because I got the chance to enjoy the island to myself. And since I couldn’t really get enough of the trip, I had a plush lunch arranged at Pasqualino’s. This hilltop spot is on the Samar side that serves really good Italian cuisine. Above all, it offers a magnificent view of the engineering masterpiece that we all adore. 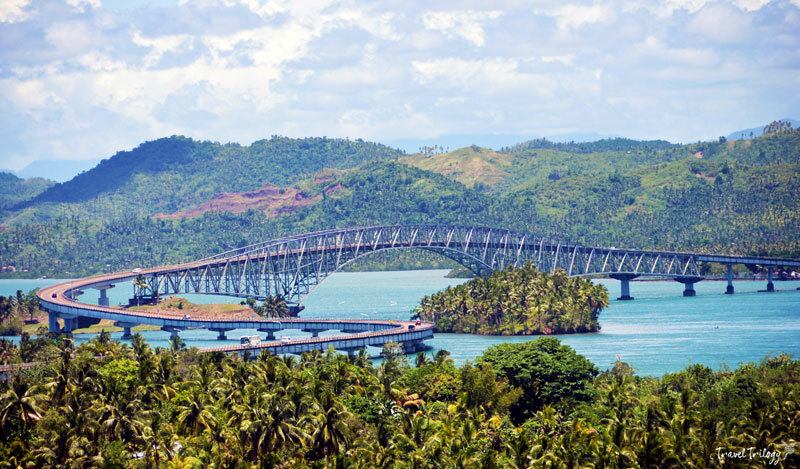 Be it for the simplest desire to reach people or places, or Marcos’ demonstration of eternal love for Imelda, surely the San Juanico Bridge reshaped the entire Waray islands and brought it to the rest of the Philippines.